Help your favorite physician get organized with this medical theme wood business card holder. 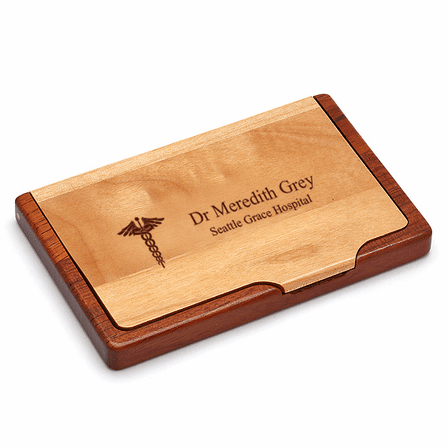 It is made of two contrasting wood tones and comes laser engraved with the Caduceus emblem, the modern symbol for medicine inspired by the ancient Greeks. 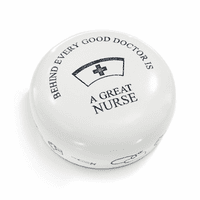 Add your own personal inscription to the right of the emblem free of charge. 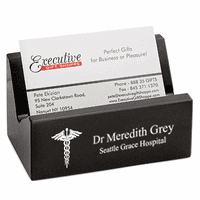 It holds put to eight business cards and works perfectly as either a desktop or a pocket card holders. 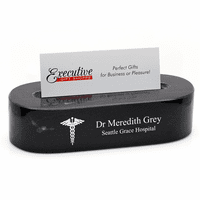 This business card holder for is a perfect gift for doctors, nurses and any other medical professional. 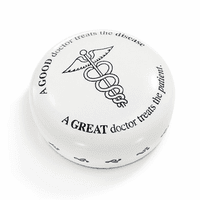 Dimensions: 4 1/4" x 2 3/4" x 1/3"
You would just need to order a single unit off our site. If you go ahead and place a larger order later, we'll issue a pickup for the sample and refund you in full.